The Khmer Rouge ran what is regarded as one of the twentieth century’s most brutal regimes. Yet the Killing Fields of Cambodia remain unexplained. Until now. 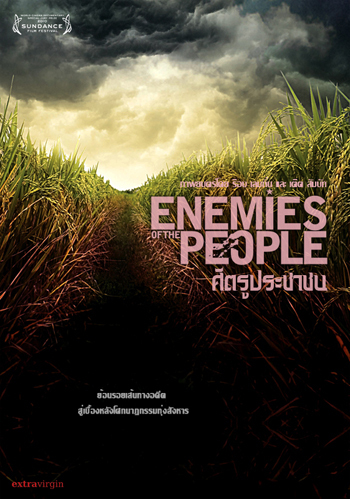 In ENEMIES OF THE PEOPLE the men and women who perpetrated the massacres – from the foot-soldiers who slit throats to the party’s ideological leader, Nuon Chea aka Brother Number Two – break a 30-year silence to give testimony never before heard or seen. 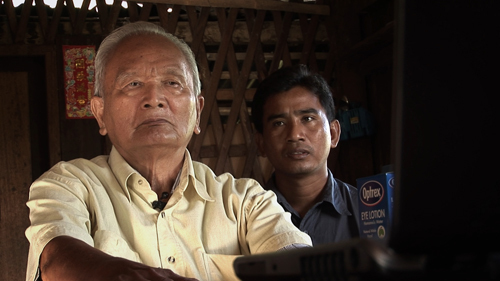 Unprecedented access from top to bottom of the Khmer Rouge has been achieved through a decade of work by one of Cambodia’s top investigative journalists, Thet Sambath. 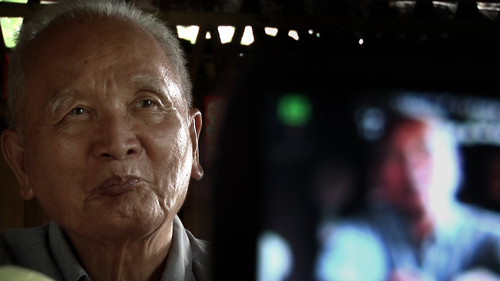 Sambath is on a personal quest: he lost his own family in the Killing Fields. The film is his journey to discover why they died. In doing so, he hears and understands for the first time the real story of his country’s tragedy. After years of visits and trust-building, Sambath finally persuades Brother Number Two to admit (for the first time) in detail how he and Pol Pot (the two supreme powers in the Khmer Rouge state) set out to kill party members whom they considered ‘Enemies of the People’. But Sambath’s remarkable work goes one stage further: over the years he befriends a network of killers in the provinces who implemented the kill policy. For the first time, we see how orders created on an abstract political level translate into foul murder in the rice fields and forests of the Cambodian plain. We have repeatedly used the expression ‘for the first time’. This is because Sambath’s work is a watershed both in Cambodian historiography and in the country’s quest for closure on one of the world’s darkest episodes. The United Nations and the Cambodian government have set up a tribunal to try the senior leaders of the Khmer Rouge for international crimes. Brother Number Two’s trial is expected to start in 2011. The trials are widely expected to deliver a form of justice but fewer expect the truth finally to come out through this process.